Etisalat today outlined the possibilities that the Internet of Things, IoT, holds for the present and future of the UAE, and announced its key focus areas to enable the IoT ecosystem of the country. 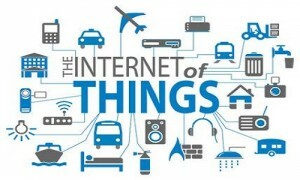 The IoT will be connecting 50 billion objects by 2020 globally , largely revolutionising companies and sectors, particularly smart cities, consumer electronics, retail, utilities, transportation, healthcare and construction, that will form the majority of the device base. The vast array of applications for this exciting technology includes connected cars, fleet management, smart meters, consumer electronics, game consoles, wearable electronics and security solutions. Etisalat points out that by 2020, energy meters the world over will be replaced by Smart Meters. Hundreds of data points per person will be transferred to preferred healthcare providers. Optimised commutes will reduce transport emissions by 50 percent. 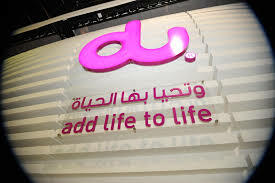 Beacons, connected commerce and machine learning is expected to generate nearly AED5.5 billion worldwide. The connected car ecosystem will pave way for autonomous driving and millions of critical assets will be ‘sensorised’ to create a new approach as products as services, enabling growth of start-ups and entrepreneurs globally. The “smart” future of the UAE, as envisioned by the nation’s leadership, is inherently built on IoT and a well-connected infrastructure. Having invested billions of Dirhams in fixed and mobile infrastructures, Etisalat is contributing in the enablement of IoT and smart cities in the UAE by investing further in IoT and Big Data platforms and enhancing the ecosystem for a number of solutions. To support businesses realise their IoT strategies, Etisalat has made investments in some of the core components such as multi-access technologies, IoT specific Network, IoT Security, IoT Control and Command Centre and state of art IoT platform. Keeping with its commitment to contribute to the future of IoT in the UAE and the region, Etisalat has partnered with the upcoming Internet of Things World Forum as Innovation Sponsor. At the event, hosted by Cisco, Etisalat will demonstrate its IoT capabilities until 8th December.